This isn't a list of the best players in college basketball, but of its most potent scorers. And the leader of that list is a non-Power Five star who finished fourth in the country in scoring a year ago. Sports Illustrated’s College Basketball Projection System is a collaboration between economist Dan Hanner and SI’s Luke Winn and Jeremy Fuchs that produces our 1-351 team rankings, conference predictions and player statistical forecasts. For a deeper look at how the system works, read this explainer. We simulated the season 10,000 times and generated median stats for every player in the top eight conferences (AAC, ACC, Atlantic 10, Big East, Big Ten, Big 12, Pac-12, SEC) as well as our other forecasted at-large bid candidates (Gonzaga, Saint Mary’s, BYU, Wichita State, San Diego State and Princeton). Today we’re unveiling our projected top 100 scorers, according to raw points per game, from that set of teams. See every article in our college basketball preview here. A key to the charts: Proj. PPG = projected raw points per game in 2016-17. ORtg = projected offensive rating, or points per 100 possessions. Volume = projected percentage of team possessions used while on the floor. Mins = projected percentage of minutes played. Davidson senior shooting guard (and Settlers of Catan gamer) Jack Gibbs is a safe bet to lead the multi-bid conferences in scoring. He was fourth last year, behind only Oklahoma’s Buddy Hield, Mississippi’s Stefan Moody and NC State’s Cat Barber, all of whom have moved on to the pros. Gibbs scored 40 or more points three times as a junior, and although we don’t see his scoring average hitting Stephen Curry range—Steph put up 28.6 as a Davidson junior—a 23.6-per-game projection is more than respectable. Iowa’s Peter Jok (No. 2), who’s likely to take on a huge scoring load now that Jarrod Uthoff is in the NBA, is the only major-conference player SI projects to finish ahead of its No. 1 Naismith-and-Wooden award candidate, Duke’s Grayson Allen, in the national scoring race. Look for Washington’s Markelle Fultz (No. 10), a potential first-overall pick in the 2017 NBA draft, to lead the nation’s freshmen in scoring. SI projects him at 18.2 points per game, the highest of anyone in the Pac-12, where his main competition should be Cal power forward Ivan Rabb (No. 9), a fellow NBA prospect who should make the leap from freshman role player to sophomore star. Kelan Martin (No. 11), a 6' 6" hybrid forward who had Butler’s second-highest number of three-point makes last season, projects to become the team’s leading scorer now that Kellen Dunham and Roosevelt Jones are gone. Martin showed flashes of big-time scoring ability as a sophomore—he had 27 and 35 points in back-to-back games against Marquette and Georgetown—and SI projects him to lead the Big East in scoring as a junior. Sophomore guard Nick Emery (No. 12) is similarly poised to take over the scoring lead at BYU in its first year without Kyle Collinsworth and Chase Fischer. Georgia should have one of the nation’s best scoring duos in guard J.J. Frazier (No. 24) and center Yante Maten (No. 34), but not enough of a supporting cast to project as an NCAA tournament team. Likewise for Oklahoma State, whose starting backcourt of Jawun Evans (No. 35) and Phil Forte III (No. 42) is projected to combine for 32.0 points, but their team projects to finish in the lower half of the Big 12. This tier is heavy on veteran go-to-guys. Wisconsin’s Nigel Hayes (No. 46) is a Big Ten Player of the Year candidate if he bounces back from a junior season in which he struggled as a long-range shooter. Creighton’s Maurice Watson Jr. (No. 50) is a Big East Player of the Year candidate if the Bluejays can stick in the top 25 and his prime competition falls under their projections. Rhode Island’s E.C. Matthews (No. 58), who tore his ACL in the Rams’ season opener last year and missed the rest of the season, is back and should push the Rams into the NCAA tournament. This is the next-man-up tier: With Ben Simmons no longer dominating LSU’s offense, sophomore Antonio Blakeney (No. 67) is its likely new scoring leader. After two years as a role player supporting future first-round NBA draft picks, Kyle Kuzma (No. 71) is ready to be Utah’s lead guy in a balanced offense. It’s Rodney Bullock’s (No. 69) turn to do the same at Providence, with Kris Dunn having moved on to the Timberwolves and Ben Bentil to the Celtics. 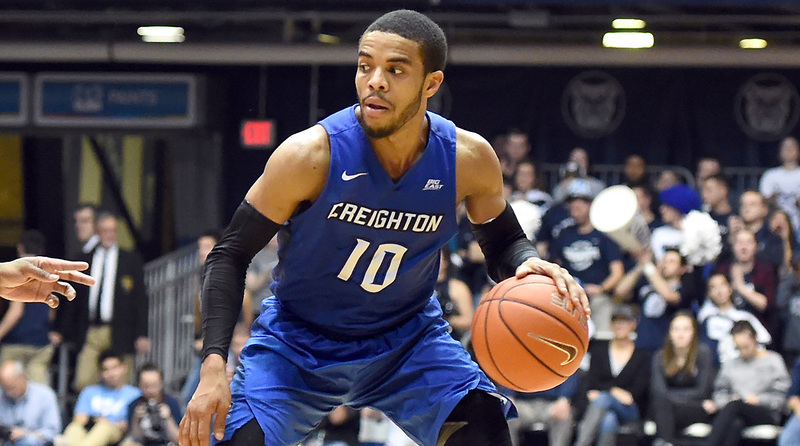 Here come the key transfers: Creighton’s Marcus Foster (No. 82) averaged 15.5 points as a Kansas State freshman in 2013–14 and is ready to get his career back on track in Omaha. Andrew White III (No. 97) left Nebraska and graduate-transferred into a situation at Syracuse where he could very well be the leading scorer. Former Memphis power forward Austin Nichols (No. 96) projects to lead a balanced Virginia team in points, as does former Kansas guard Conner Frankamp (No. 86) at Wichita State.